A really simple but rich tasting dip. 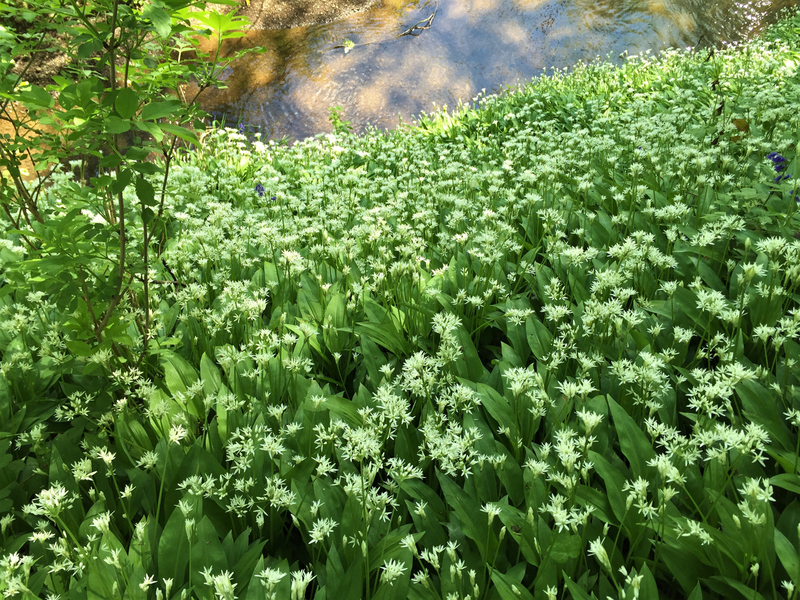 Wild garlic leaves and/or flower buds (the buds are hotter and more garlicy). 250ml oil, olive or groundnut. or some ready made mayonnaise. Whisk the egg yolks, mustard and seasoning together then drizzle in the oil while constantly whisking until a firm texture and glossy finish is achieved. 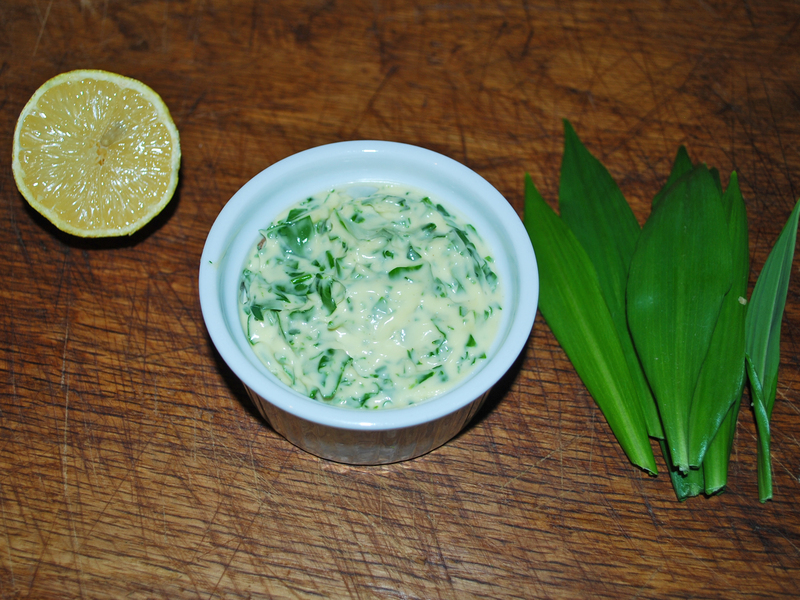 Pestle and mortar or liquidise the wild garlic leaves and blend with the mayonnaise and add a squeeze of lemon juice. This is better with homemade mayonnaise but shop bought will also work.